Pinterest’s Promoted Video is still fairly new on the social media advertising scene: it launched just over a year ago in August 2016. 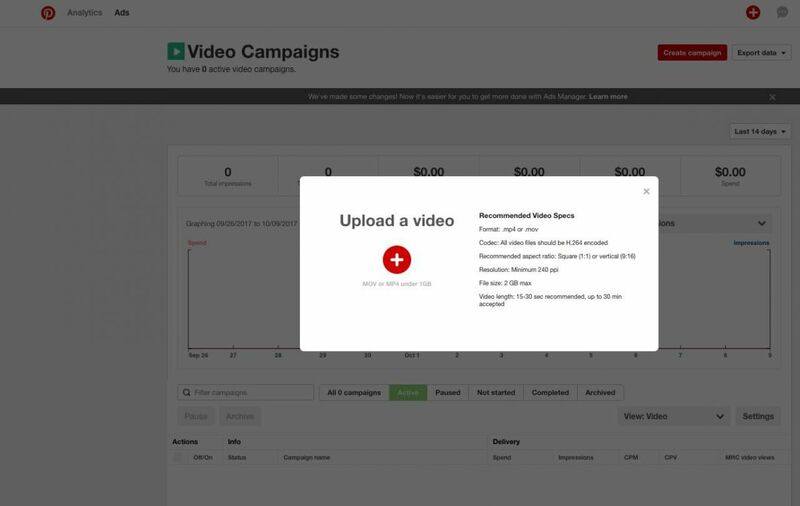 The platform already offers some compelling advantages for video advertisers. With 150 million monthly users, Pinterest is the second largest driver of referral traffic, driving 5% of all traffic online (that’s more than Twitter and LinkedIn combined). It’s also highly optimized for search, both internally and through Google. In addition to being tailor-made for visual content, the most compelling reason for brands to use Pinterest is that users are primed to purchase — an impressive 87% of Pinterest users have purchased a product because of Pinterest, and 93% have used it to plan a future purchase. Unlike other platforms, users tend to have a more favorable opinion of promoted content from brands (videos in particular!) An impressive 61% say they enjoy watching videos from brands on Pinterest, and 67% say video inspires them to take action, compared to just 32% of users on other platforms. With promoted video ads still fairly fresh, and new features like autoplay recently rolled out, there’s an opportunity for savvy advertisers to get in early and begin to reap the benefits of Pinterest video ads. If you’re ready to get started, this guide will help. On other platforms like Facebook, videos and promoted content can interrupt people’s feeds. Advertisers on Pinterest have an advantage because people come to the platform to shop, plan, and get inspired. However, even though the audience tends to view ads more favorably, advertisers still need to keep a few important best practices in mind. Use Strong Visuals. Pinterest is a highly visual platform, so one important best practice for video is to stick to the adage “show, don’t tell”. Your message should mostly be conveyed through visuals and shouldn’t rely on audio or dialogue to get your point across. Hook Viewers Quickly. Most online video viewers will quit watching within 30 seconds if they’re not engaged, so make sure your video starts strong and hooks them in quickly. Educate or Captivate. According to Pinterest’s research, the best performing types of video on the platform are how-to videos and storytelling videos. Many people turn to Pinterest for DIY and how-to content, while others come to be inspired by beautiful pictures. Aim to either educate viewers in how to do something or captivate them with beautiful visual storytelling. Length. Keep your video content short and sweet. Videos around the 15 to 30 second mark do well, though how-to videos can be longer. Videos can be a max of 30 minutes but 1-3 minutes tends to be the sweet spot for most online videos. Format. Vertical pins perform better on Pinterest, and the same holds true for videos. The ideal aspect ratio is 9:16, though you can use square assets successfully. It all comes down to knowing your audience and tracking your video’s performance. Setting up your first Pinterest video ad is a fairly simple process. You’ll need a business profile. A business account performs and looks much the same as a non-business one, but gives you access to analytics and ads. Set one up for free or convert your existing personal account into a business account. Note that you’ll only be able to upload videos if your account has a completed billing profile. If you haven’t added billing information, you won’t see the option to upload a video. 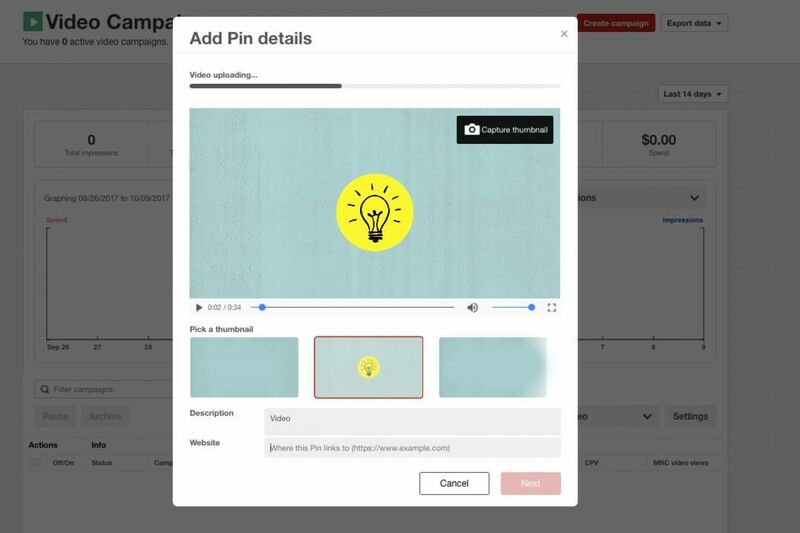 Unlike regular pins, you can only upload videos from the Ads Manager, not from the regular Save button (previously the Pin it button) or from your profile. Navigate there, then click on the red plus and select Upload Video. Check the specs before you upload! Add your pin details and select an engaging thumbnail. You can add a description of up to 400 characters, but note that it won’t be displayed unless someone clicks to view your video closeup. Once it’s done uploading, you’ll be prompted to select a board for your pin and your video will be created. Before you create your ad, check the board to confirm the pin has appeared. 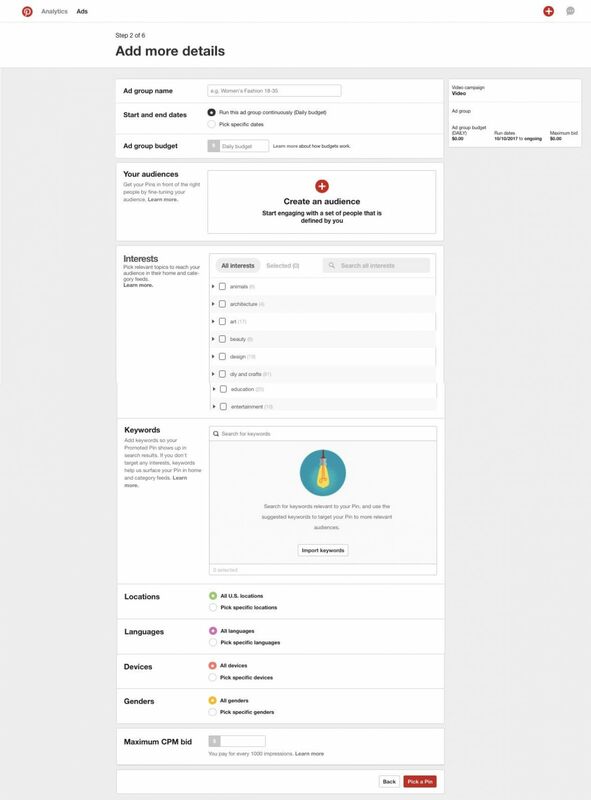 Now you can click on Create a Campaign. Click on Build Brand Awareness Through Video as your campaign goal. Name your new campaign and add optional spending caps if you like. On the next screen, you’ll be asked to select your start and end dates, set a budget and choose your audience. You have a few different options for who to target with your campaign. 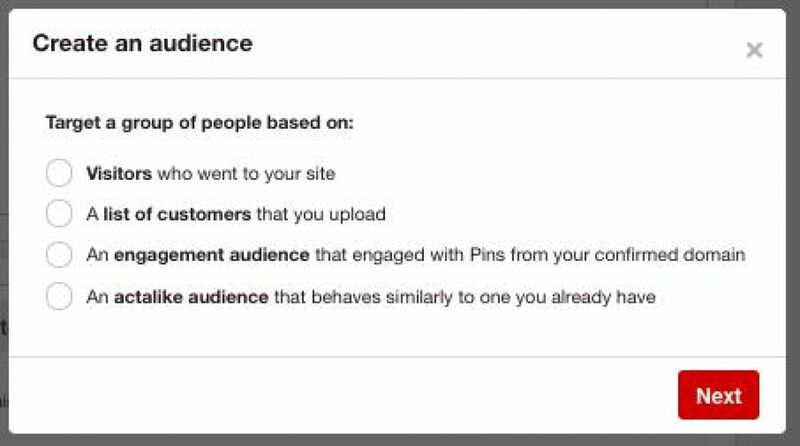 If you’re just starting out on Pinterest, and don’t have a large engagement or act-alike audience yet, select one of the other options. 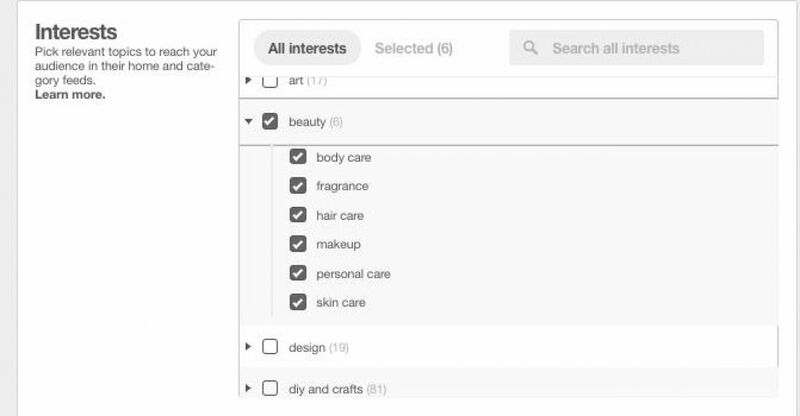 Select the interests and keywords you’d like to target. 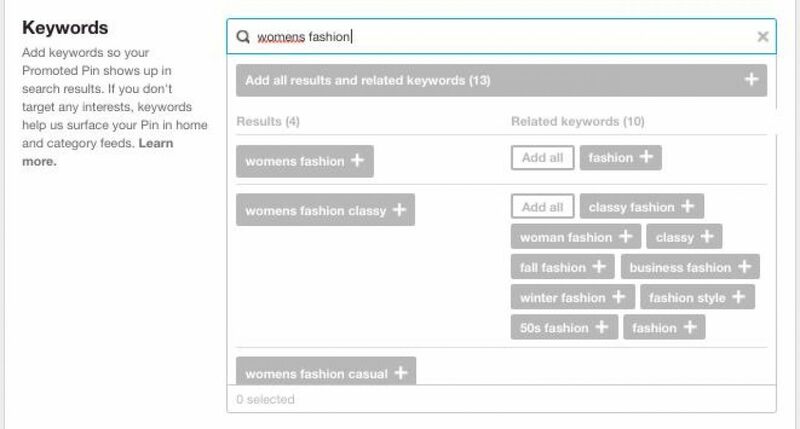 You can use Pinterest’s keyword suggestions or import your own. You can filter by device, gender, location and other demographics. Lastly, you can select your maximum CPM bid. Pinterest will offer guidance on whether your bid is strong and warn you if it’s too low. Once you’ve completed this page, you’ll be prompted to pick a pin. On the next screen, you’ll only see video pins that you’ve already uploaded. Give your promoted pin an optional name, make sure the destination URL points to the correct page, and click Promote Pin. Once your campaign starts, you’ll be able to view standard Pinterest metrics for your pin like clicks, saves, and close-ups. 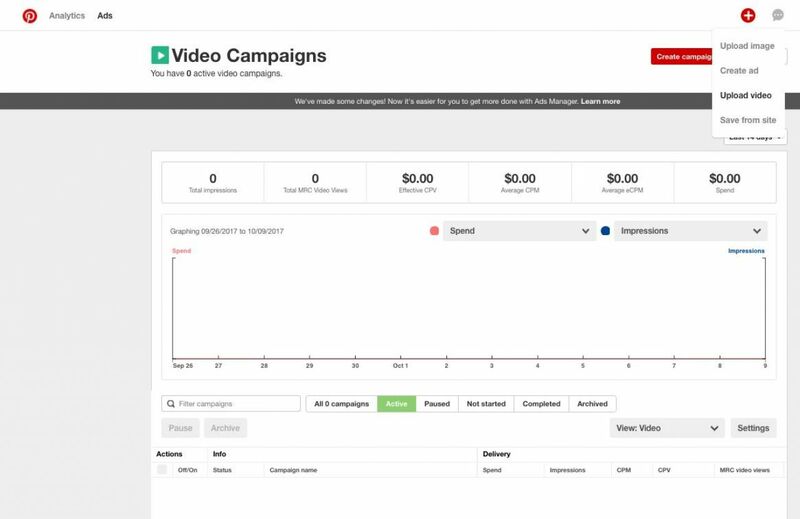 You’ll also have access to video metrics including video views, impressions, average watch time, and more. 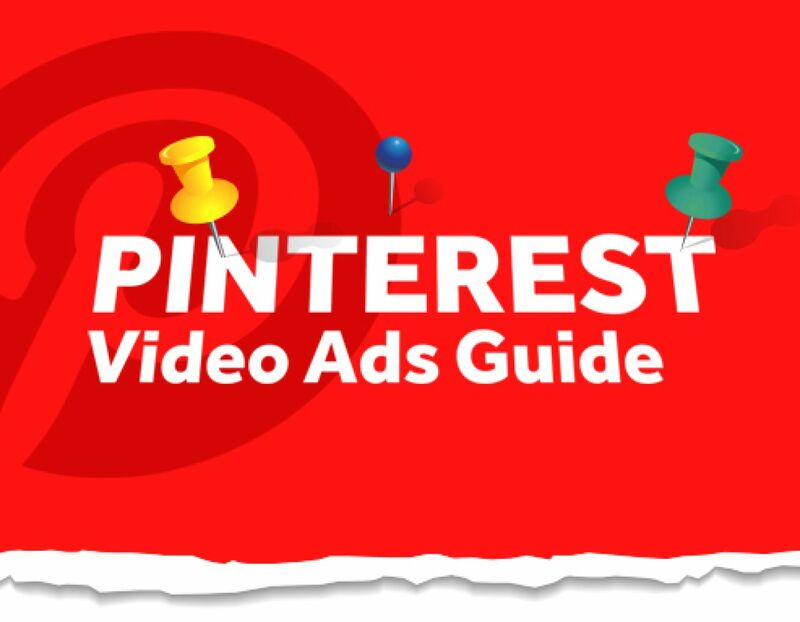 Finally, here are a few quick tips and specs for your Pinterest promoted videos. Pinterest videos will autoplay silently when they’re 50% in view in the user’s feed. 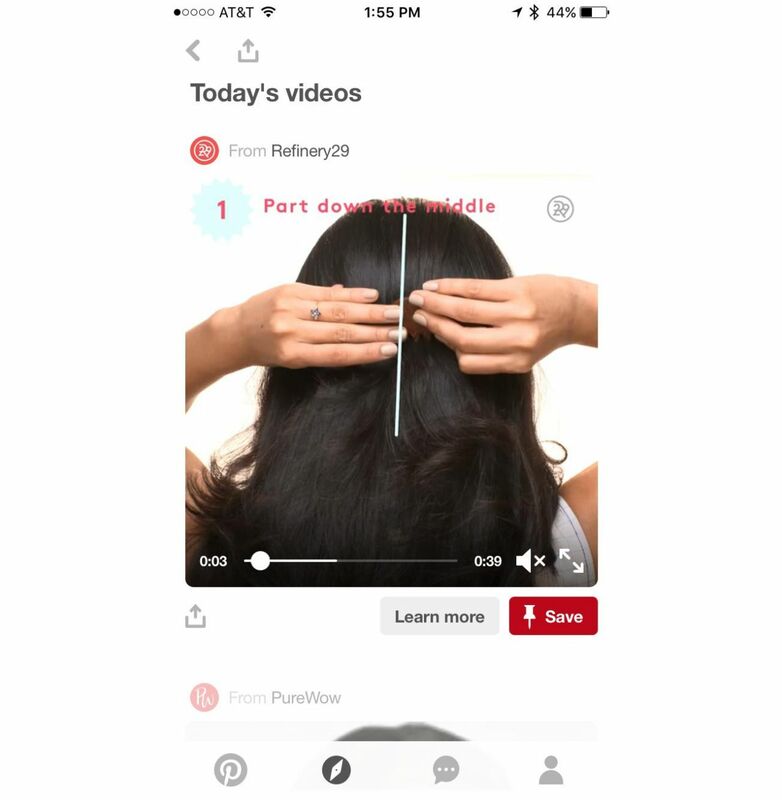 Users can tap to get a close-up of your video and watch it in a larger view with sound. Videos loop when they’re viewed in the feed, but will not loop in closeup. Promoted videos only autoplay in the mobile app. Pinterest states that “branded content on Pinterest is credible and actionable,” so make sure to clearly show your logo or product in the video. Pinterest video ads offer some great features for advertisers and are best suited for videos with beautiful visual storytelling or helpful how-to instructions. 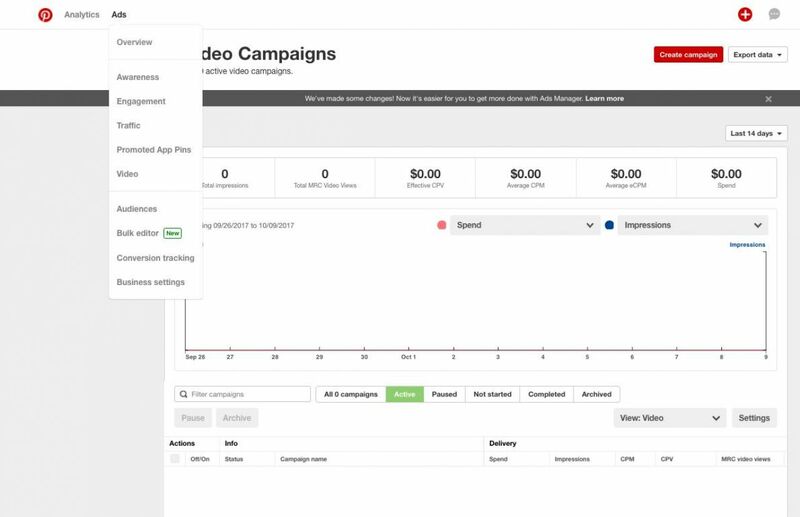 It’s easy to get started with a small budget and since video ads are fairly new, advertisers have an opportunity to try a promising new ad format before it gets crowded. 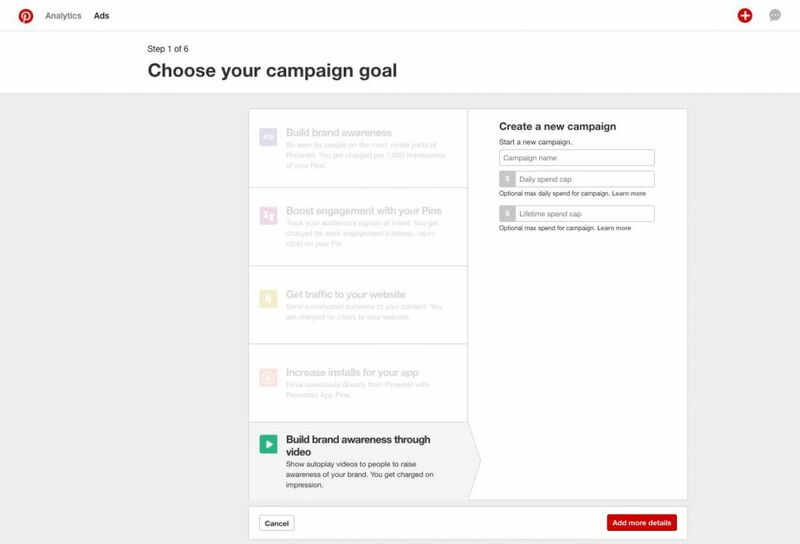 Ready to get started with Pinterest video ads? Biteable makes it easy to create beautiful videos for all your marketing needs. Get started for free here.